Imagine coming face to face with a whale just moments after watching a group of sea lions playing in their naturat habitat! 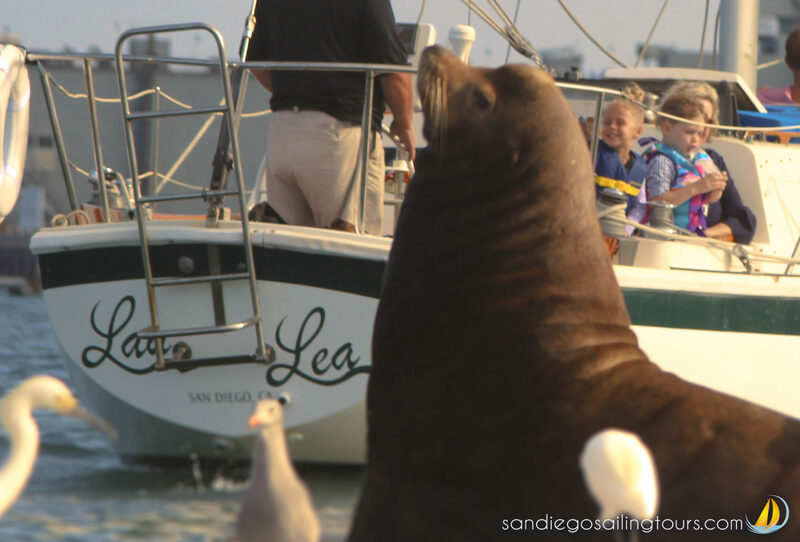 Experience an exciting 4 hour sailing tour while cruising along the San Diego coastline. Venture off into the Pacific Ocean and catch a chance to see local marine wildlife. 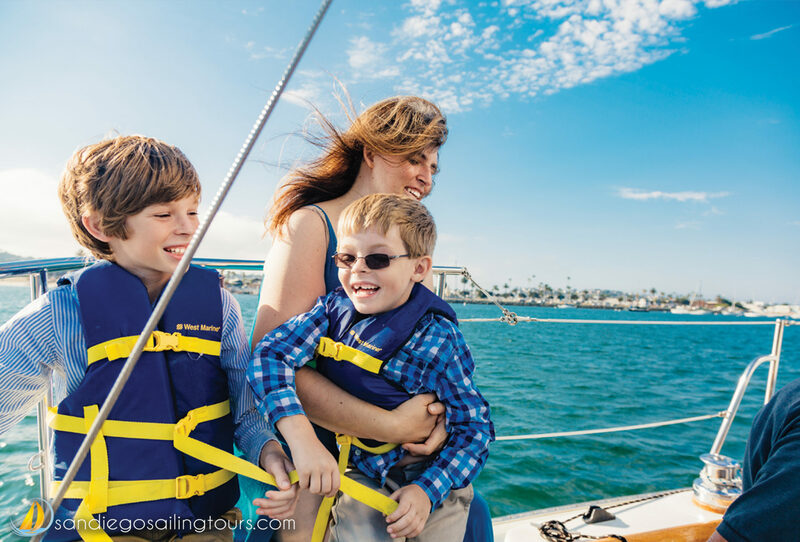 Create a memory of a lifetime while sailing past Coronado Island and exploring the pure ocean and its natural life. If you’re looking for a family adventure, or a perfect tour for photography, look no further! 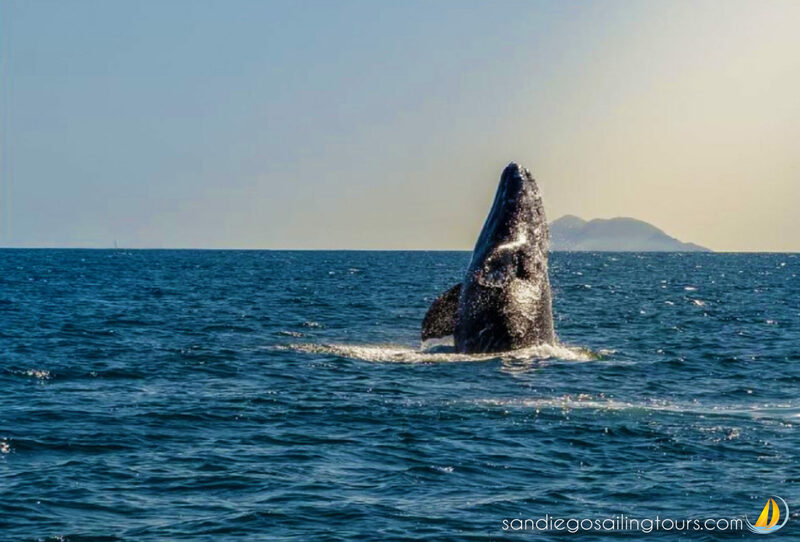 If you’re visiting during December- March, then you are in prime-time whale watching season, and this is the whale watching tour during peak season. Be a part of the great migration and experience these gentle giants as they surface the ocean. During Summer and Fall season, there are plenty of dolphins, harbor seals, sea lions, and avian life to enjoy while out in the deep blue. Our captains offer first class service by providing refreshing beverages and snacks, with your first glass of wine or beer as complimentary. This tour also includes a custom-made lunch with fresh ingredients. Don’t forget to order your custom lunch when completing your booking. While on your journey, be sure to ask your Captain about the local history and their expansive sailing knowledge. So sit back and relax with the wind gliding you across the sea. Sail abroad one of five gorgeously restored luxury sailing vessels. As you cruise the harbor, admire the vessel’s characteristic mahogany and teak woodwork, classic lines, and distinctive interior design that is no longer seen in today’s production. Our yachts are restored by our own crew, most of them built right here in California. Stretching 36 ft. length, you have room to relax, walk around, and find the perfect spot to enjoy your cruise.